GET YOUR PROTEIN ANYWHERE, ANYTIME! 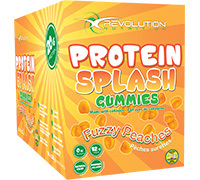 Protein Splash™ Gummies are simply the most innovative, delicious and convenient Protein product EVER!!! All the benefits of protein in real gummies! Protein Splash™ Gummies are the most innovative breakthrough in sports supplements! Yes, you can now get your protein in a real texture, flavourful gummies! Each bag of these delicious gummies supplies your body with 20 grams of protein and contain no sugar! The best part about Protein Splash™ Gummies is that you can have real candies without adding any sugar to your diet! 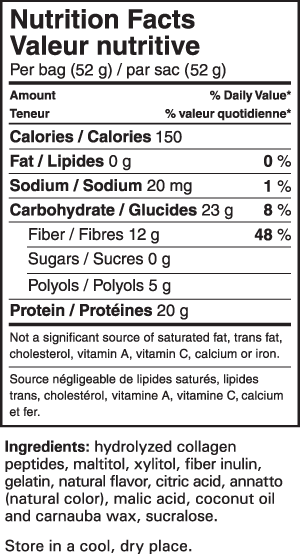 Protein Splash™ Gummies have been formulated without any artificial colors or flavours! Everything here is natural.